Printed documents can be picked up in Middleton Library or Patrick Taylor Hall. Just follow these steps and you will have your color or black and white 8.5" x 11" documents in no time. 1. 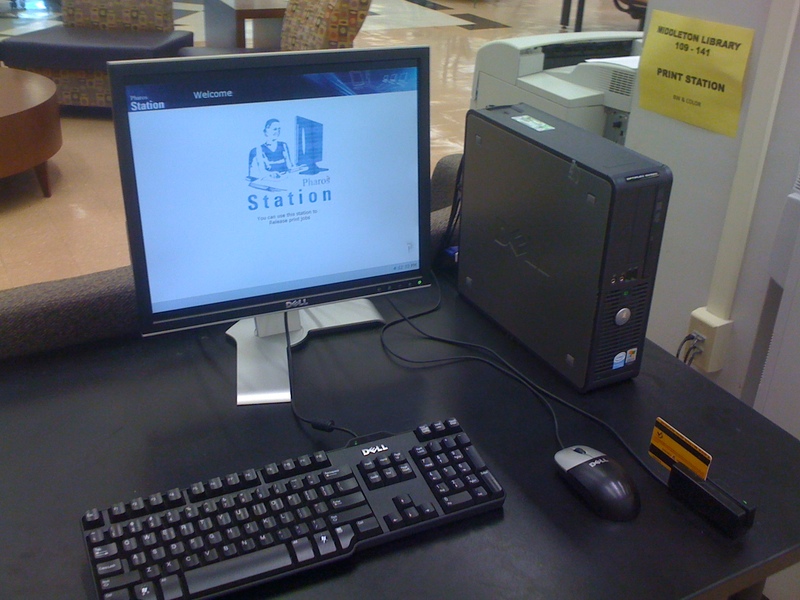 Log onto any of the Public Access Lab computers with your PAWS ID & Password. 2. 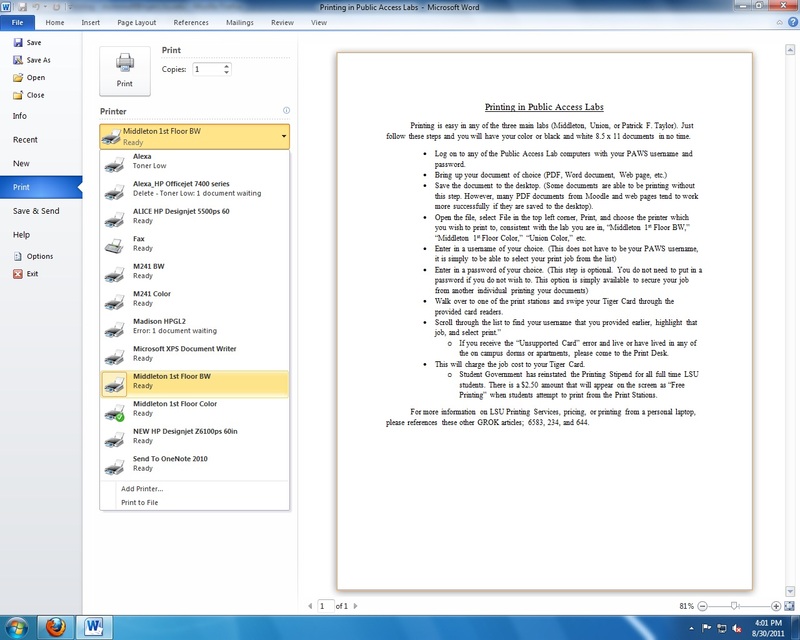 Bring up your document of choice (PDF, Word, Web page, etc.) and save the document to the desktop. NOTE: Some documents are able to be printed without this step. However, many PDF documents from Moodle and web pages tend to work more successfully if they are saved to the desktop. 3. 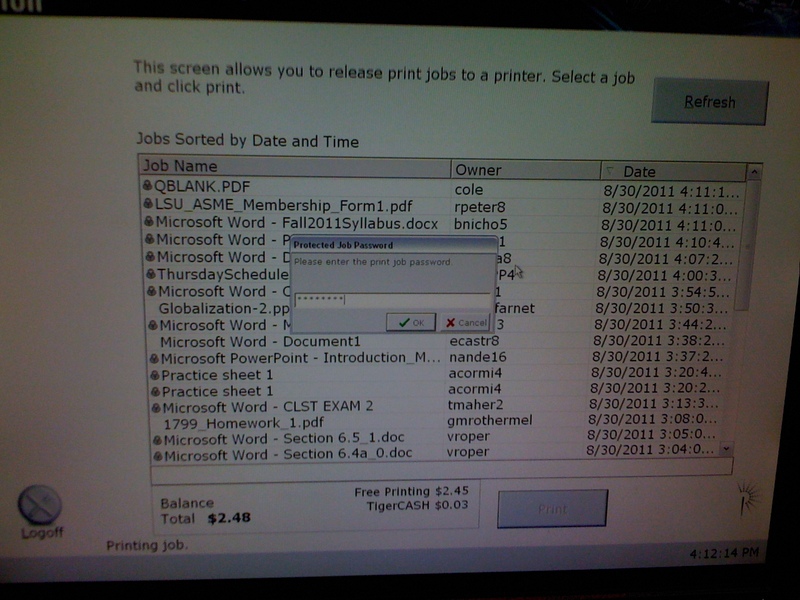 Open the file, click File at the top bar, then click the Print tab at the right side. 5. Enter in a username of your choice. This username DOES NOT have to be your PAWS ID; it is simply needed to be able to identify your print job from the list. 6. Walk over to one of the print stations and swipe your Tiger Card through the provided card readers. Need more information on Tiger Card? View the Tiger Card: Student Overview. 7. 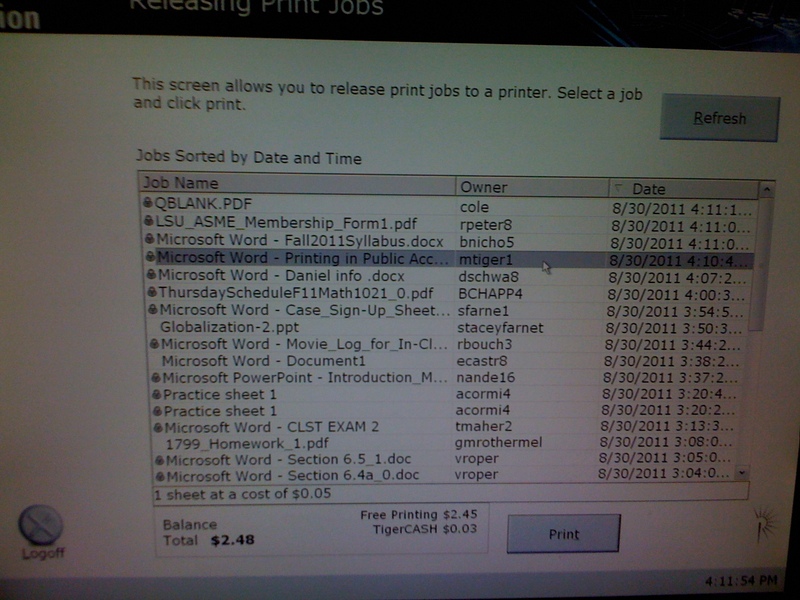 Scroll through the list of usernames to find the one that you created and provided earlier, highlight that job, and click Print. NOTE: If you receive an Unsupported Card error, please come to the Print Desk (305 Middleton). 8. 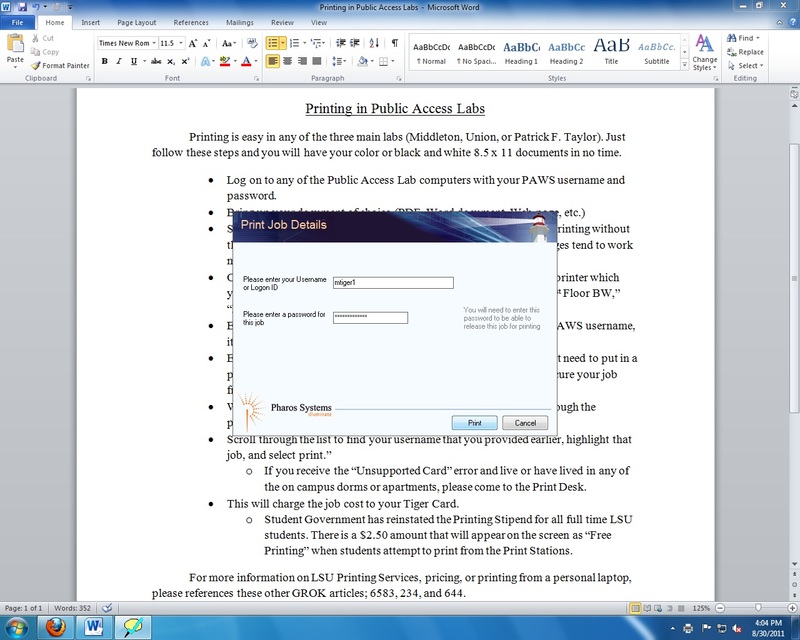 The cost of your print job will be charged to your Tiger Card, then your document will begin to print.